@Lee_Massey put up this image on Twitter recently and I totally agree. People tend to forget how much money and time is invested just to take one image, let alone hundreds. So, don’t pretend or assume you weren’t told. I am sure any tog out there will agree with me. 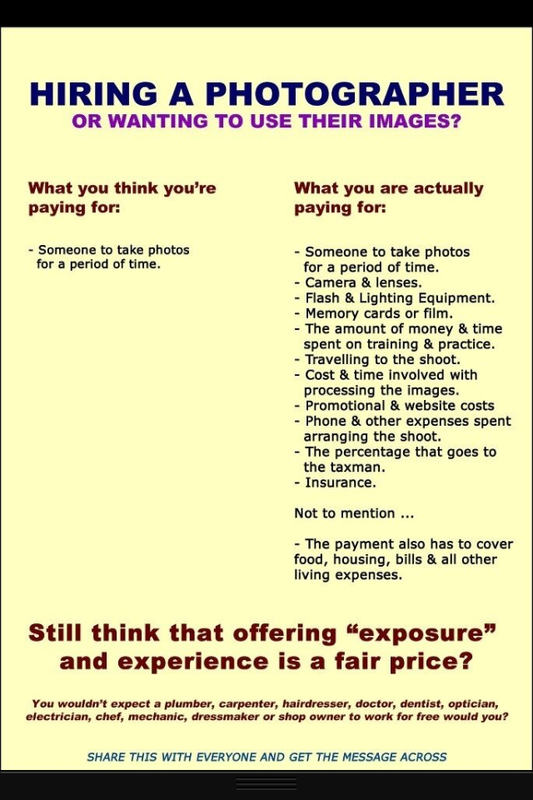 Please share this if you are serious about photography.